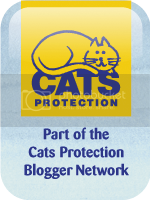 When long time cat lover Barbara Bates won a competition on line for her cat story she knew exactly what she was going to do with the winnings, Barbara converted her winnings into cat food and shared it among her favourite charities among which Wear Valley & Darlington Cats Protection benefited. Thank you Barbara! !